CALLING ALL MIDLANDS LIVE MUSIC FANS! This month British punk rockers Gallows will be taking the reigns of Topman CTRL and they have hand picked a line-up of hot new bands for the CTRL live gig, taking place on 29th October at the Flapper in Birmingham. Gallows have gained a well-deserved reputation as one of the most vital and exciting bands in the UK and the notoriously outspoken band released their second album, ‘Grey Britain’, earlier this year. Headlining the gig at the Flapper in Birmingham are NME Future 50 stars, Invasion, an electrifying combination of killer, heavy rock and belting, soulful vocals with a pinch of shamanistic dressing up and a rumoured perspex guitar (!) thrown into the mix. Warming up the crowd on the night will be Soni-Quella, who describe themselves as ‘alternative bi-polar experi-metal’ and sound a little like controllers Gallows themselves, and Shapes, a fiery blend of raging vocals and instrumental noise who have developed a big international following in just over a year of existence. More info on the featured bands and further details of the event can be found at the Topman CTRL Myspace page. 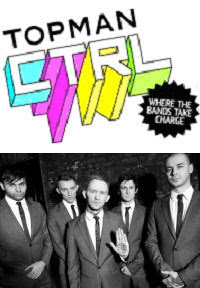 The Geek Muse is hoping to catch up with some of the bands playing the CTRL Live gig and also speak to Gallows on their current US tour, so watch this space for interviews! 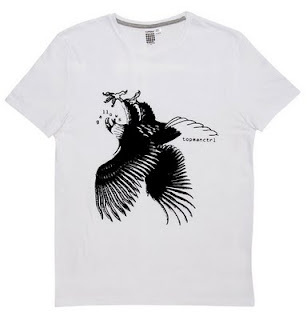 To celebrate Gallows taking over Topman CTRL in October, Lags from Gallows has designed a strictly limited edition t-shirt (and I mean seriously limited – there are less than fifty in existence in the world and they will not be available in the shops!). Entries close at midnight on Friday 31st October. One winner will be selected entirely at random and contacted via email. This competition is open to UK residents only.